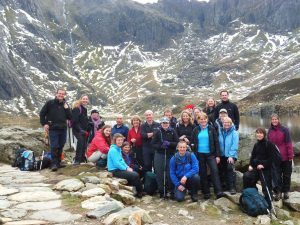 Membership of the Ipswich Outdoor Group is an inexpensive way to gain access to a varied and organised programme of events, as well as a way to enjoy the company of like-minded people. Our membership year runs from 1st July and the membership fee is £10 for the year. A reduced subscription of £5 is available for students, the unemployed and restricted membership e.g. those who do not live in the Ipswich area. Most people come along to a few local events within the trial period of two months before deciding whether or not the Ipswich Outdoor Group is for them. During the trial period, we hope you’ll get to meet some of the members and have a chance to decide if the type and level of events are what you expected. If you have any further questions about Ipswich Outdoor Group membership, you can contact Christina Bail (our Recruitment Manager) by email through enquiries@ipswichoutdoor.org (preferred) or by telephone on 01473 211502. She will attempt to get back to you as soon as possible with the information you need. Once you’ve decided that you’d like to join us, you can download a membership form and notes IOG Membership Form 2018-19 (pdf, 141KB). Alternatively, you can request a printed paper copy of the form from Christina. Please ensure that you complete all non-optional sections, including the emergency contact details, and tick any appropriate checkboxes that apply. The form can be returned by post or email to the Membership Secretary (Rachael Norris) at the addresses given on the form. When returning the form, please include a cheque (payable to Ipswich Outdoor Group) for the appropriate subscription fee or request the necessary details for an online bank transfer from the Treasurer (Sarah Sheppard) or Membership Secretary. Once you have submitted your completed form and payment, the membership secretary will try to process your application soon but please be aware that it may be several weeks before you hear back, depending on real-life commitments. Your patience is appreciated – all our committee members are volunteers, and may not be available to respond immediately if, for example, they are away on a trip. Once you’ve joined the group, you’ll be able to participate in our weekend trips and take advantage of the membership benefits listed below. In addition to the group email mailing lists, you can also be added to the members-only IOG Facebook group and can collect a group membership key tag. I do not live around Ipswich / I find it hard to get into the town centre. Can you post me my membership key tag? Unfortunately not. All of the key tags have already been handed over to the pick-up point, and they are already supporting the group enough by helping us out with key tag collections so we will not be imposing on them further. Even before they were delivered, the cost of postage to deliver key tags would be much too high for the group to do this individually and, even if that cost were paid by the members requesting this, the amount of volunteer time required by an already hard-working committee is just too much. Instead, we would recommend that you ask a local group member friend to collect the key tag for you on your behalf and post it to you, if required. Thanks. I joined the group halfway through the IOG membership year. Can I still get a key tag? The key tags are produced once a year so we cannot supply you with your personalised key tag until the start of the next IOG year. However, if you contact the Membership Secretary, they will help you with a suitable interim arrangement so you can prove your subscribed membership status. I failed to renew my IOG membership before the deadline expired to get a replacement key tag for the new IOG membership year. Can you squeeze me in / add me to the order anyway? My key tag has broken, can I get a replacement? No. For cost reasons, we can only order key tags in one bulk annual order at membership renewal time – by the end of July. It is suggested that your key tag will survive longer if you store it in a wallet, rather than on an actual key ring. If it does break, you can either show the pieces if you have them, or contact the Membership Secretary who can provide a suitable interim arrangement so you can prove your subscribed membership status. My key tag from a previous year has expired, what should I do with it? You’re welcome to either keep it as a souvenir or, if you return it to the Membership Secretary before or at the group’s Annual General Meeting in November, then it will be returned to the supplier with any uncollected key tags who will securely destroy them and recycle the plastic. The Youth Hostel Association, YHA (England & Wales), and many local outdoor retailers provide our group members with a discount and other benefits. Unless otherwise stated, your IOG membership key tag must be shown at checkout in-store to obtain the group discount. Action Outdoors is a local independent retailer specialising in travel, trekking, climbing and rambling gear. The shop stocks a wide range of gear for climbing, mountaineering, walking, camping, etc. Owner Dave Tonks is a regular walker, who likes to get away to warmer climates for trekking trips when time permits. He is also a well-known local climber and an active member of the Ipswich Mountaineering Club. With plenty of practical experience, Dave can provide solid advice based on your requirements, and is often particularly helpful for those with limited experience looking to be guided through the daunting array of equipment available. He has many contacts, and even if the shop does not stock something you specifically need, he can arrange to have it delivered in a short time. * discount in-store includes sale items, but excludes Gift Cards and cannot be used in conjunction with Price Matches, Multibuys or other offers. 10% discount (including products that are reduced and on ‘Sale’ ). Please note, the IOG discount does not apply to ‘dog-related items’. * GO Outdoors discount card costs £5 for a year. Both the discount card and IOG membership key tag must be shown at checkout to obtain the additional 10% group discount. Mike Summer took over ownership of Moons Cycles in 2012 and as an IOG member, began offering other group members a discount in-store. Born and bred in Manchester with roots in Texas and South Africa. Mike is a keen cyclist, Cytech accredited, with over forty years of cycling behind him, and enjoys both road and mountain biking. Alin runs the technical side of Moons cycles and is a very competitive cyclist who prefers “Fixies” and is rather passionate about these bikes. He received the top mark in his Cytech accreditation test. Elmy Cycles was established in 1922 and has stood the test of time as one of Suffolk’s best cycle shops. Owned and run by expert cyclist & enthusiast Steve Grimwood for the last fifteen years, Steve has been in the cycling trade for 25 years, has ridden and raced in all disciplines and has been a British Cycling coach, international race mechanic, rider, event organiser and international cycling commissaire. As one of the country’s leading independent cycle retailers, Elmy Cycles can help with spare parts and puncture repairs through to helping you choose a complete bike from their extensive range. They supply all types of children’s & adult’s bicycles from simple town bikes to specialist carbon fibre racing or electric bikes. New change introduced from the end of February 2018: Withdrawal of the double discounted stays – discounts will either be the transitional 10% for previously affiliated group members, or the individual £3 per person per night – but no longer both. Although we have ended the Affiliate Groups membership scheme this year, we continue to offer a special transitional benefit to previously Affiliated Groups – we offer a 10% discount on group bookings (bed only, bed & breakfast, half board or full board) made for 16 or more people through the group reservations team in our Contact Centre for arrivals up until 28 February 2019. (Not to be used in conjunction with any other offer and excludes Exclusive Hire bookings and bookings at Enterprise (franchised) hostels). Call the YHA Contact Centre to find out more. We recognise that members of previously Affiliated Groups may wish to stay with YHA independently of the group, or in parties of less than 16 people. Therefore, as long as one person in the party is an individual YHA member, we have set up a promotional code for group members to use to receive a 10% discount on accommodation only, for arrivals up until 28 February 2019 or until the launch of the YHA’s new membership scheme (hoped to be in Autumn) – whichever comes first. IOG members can find this code on the rear of their IOG membership key tag. 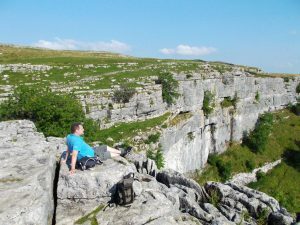 As a member of a previously Affiliated Group, the YHA offers special half-price rates up until 28 February 2019 for an Individual annual membership at £10 or Family membership at £20. To take advantage of these membership rates, please call the YHA Contact Centre, and quote the code AFG50.